Tubbercurry Golf Club is located at the foot of the majestic Ox Mountains. This is a scenic 9-hole golf course with charming views of the Croagh Patrick. True to his excellent design standards, renowned golf architect Eddie Hackett has created a worthy gem of a course on this awe-inspiring landscape. 15 minutes from Knock Airport, 30 minutes from Sligo Town, Tubbercurry Golf Course offers a picturesque and challenging 9 hole course. The 6,200yd course has full clubhouse facilities and a warm welcome from all of our members. 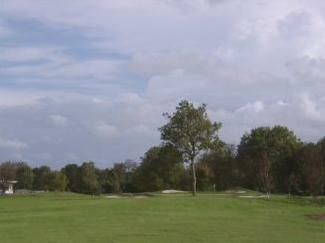 A popular parkland golf course, playable all year long. The various hazards spread cleverly over the terrain of the course serve to humble the cocksure golfers and make playing here fun and exciting. Care is advised with the approach shots due to the presence of bunkers on all of the well manicured greens.